Mikko Manka, steamship enthusiast - Sail in Finland! Mikko Manka returning to Finland with steamship Hurma from the international steamship regatta at St. Petersburg, Russia in 2011. Sail in Finland (SiF): Welcome, Mikko. Mikko Manka (MM): Thank you, it’s nice to be here! SiF: Let’s start with a little bit of history. Finland has one of the largest operational steamship fleets in the world. Why is that? MM: Well at least in relation to the population. I think it has something to do with our many lakes and transportation system. Steamships were used for passenger and cargo traffic for quite a long time. In many areas, steamships were able to compete with cars until the 1950s and 1960s as the road network was not that good. After this period, many steamships were abandoned by companies and bought by individuals who have conserved and restored these old ships. But it has to be said that 1960s-1970s was a period when many precious steamships were lost for good. Luckily there were also people that understood the value of the steamers. SiF: Steam seems to have some kind of renaissance in Finland. What is it that makes people so interested in these old ships? MM: I think it has something to do with the feeling one gets in a steamship: it is silent compared to a motor ship and there is so much history involved. Heating a ship with wood is also very nice. Besides, steam engine is quite a fascinating thing; you can actually understand how it works when you see it. Once an old steamship captain on Lake Näsijärvi told that steam engine is a reliable engine, “it is enough that all the parts are located in the engine room”. Well, this is of course a joke, but it has some truth as well. SiF: So is that what also got you involved as well? Mikko making “fenders” for steamship use. SiF: Many of the steamships are more than a 100 years old. It must take a lot of time and effort to keep them running. How much time do you spend on steamships? MM: It depends on whom you ask… If you ask me, not enough, and ask someone else, a lot. For example, this summer I have been working as a shipmaster for 4 weeks on Lake Saimaa with s/s Hurma (a steamship owned by the Biofore Company UPM) and then as a voluntary worker on steamship Näsijärvi II in Tampere. It is hard to say an exact amount of time I spend on these steamers but let’s say that on the summer season there more days that I have visited ports of these ships than those that I haven’t. And of course, there is also the restoration/repair work to be done when ships are not moving. Last two weeks (in October) I have been on the ship about every other evening. SiF: Wow, thats a lot of effort! Now the readers of Sail in Finland can benefit from your wide experience as we are publishing a page with all the steamships in Finland that are available for scheduled traffic or charter. Still, I know that there are a lot of non-commercial ships as well. If you want to meet with steamship buffs, any secret meeting or events that you can recommend? 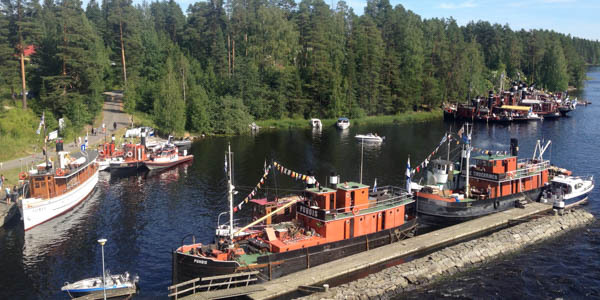 The steamship regatta 2014 of Lake Saimaa at Karvio canal. MM: The easiest way is perhaps to participate in some of the steamship events that are organized every summer: each bigger lake (Saimaa, Päijänne, Näsijärvi) has its own “Höyrylaivaregatta” (“steamship regatta”, ed. note) event, normally in July or August. 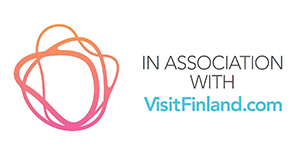 And there’s an event in Helsinki as well in September. More information about these can be asked from the Finnish Steam Yacht Association (www.steamship.fi) which is the organizer of these events. At these events you can visit several steamers at the time and have a chat with the crews. 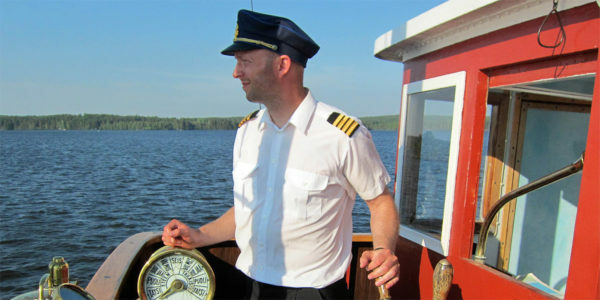 SiF: For our readers in Finland, if anyone got interested, what does it take to become an active steamship crew member? How can someone get involved? 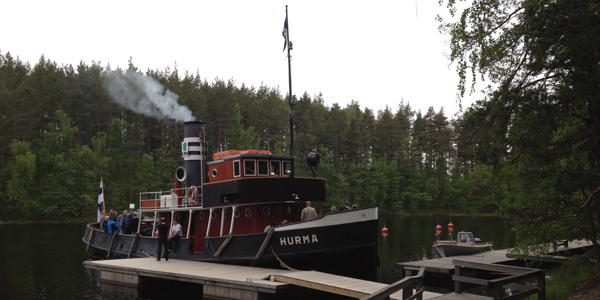 Visiting Satamosaari Island (Lake Saimaa) with steamship Hurma. SiF: I have a hunch that you are a bit biased, but what would be your suggestion for a great steamship cruise? MM:This one is actually quite hard! It depends on where you are visiting, how much time you have available and with whom you are traveling. Perhaps alone or with a small group (couple, family etc.) I would suggest taking a steamship cruise from Virrat to Tampere with s/s Tarjanne which is still steaming on its original route, since 1908. I think this might be a some sort of world record as well. If you’re visiting eastern Finland, its’ easy to take a sightseeing cruise (1h30m) with one of the steamships in Savonlinna. And with a small group (up to 12 people) I would of course take the steamship Näsijärvi II from Tampere, on which I am part of the crew :) But to be honest, I think all the possibilities listed on the Sail in Finland site are good choices in order to participate on a steamship cruise. SiF: Thanks Mikko and thank you for contributing the Steamship page to Sail in Finland. 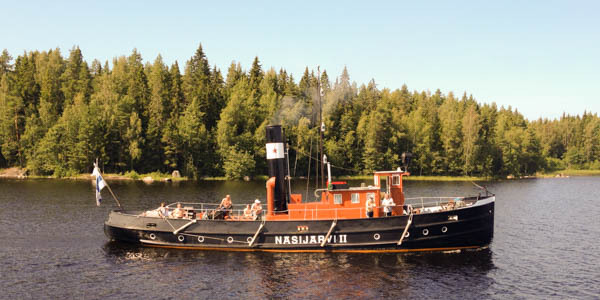 Steam tug Näsijärvi II, one of the steamers Mikko is working with.